Encouraging a sense of education and the community through its small museum and events held in the Waterloo Room. Donations, of which many can be enhanced by the Gift Aid process. It is amazing how many small donations can amount soon to a meaningful amount such as firstly £100, then becomes £200 and so on. Donors should never feel that a small amount isn’t valued, on the contrary any amount of whatever amount is appreciated. Please click here to donate. From legacies and bequests from supporters kindly and thoughtfully leaving the charity a sum in their will (such legacies are free from Inheritance Tax). There are so many needs drawing on people’s finances these days that legacy income is much less that the time when this charity was being founded. For example, 50 years ago the Manor House was given outright to set up the charity. Nonetheless any legacy of any size will be greatly appreciated and put towards the works of the charity. By fund-raising events put on by the volunteers and supporters of the charity. Our volunteers work very hard organising and planning many events through the year, to make them appealing, interesting and enjoyable for the public to take part in. We always need more volunteers and helpers, and always want the word spread that an event is ‘On’ so people know they can come ands have a good time and any money spent goes to a good cause. The maintenance of the heritage property the Trust owns called The Elms with the Waterloo Room and Tower. The Elms is a Grade II * Listed Building - please read more below. Much is achieved through the special fund-raising events that are put on by the team of volunteers for the benefit of all who come and enjoy these occasions. With the trust's local museum called the Bedhampton Historical Collection and for those who have an interest in general British and local history, most notable of the Conservation Village of Old Bedhampton. The events help to foster the community spirit of Bedhampton, Havant and the wider environs. The quality of support for the elderly residents living in the apartments in The Elms and the fourteen more-dependent elderly living in the Trust's 24-hour Registered Residential Care Home called the Lodge which is next door to The Elms. 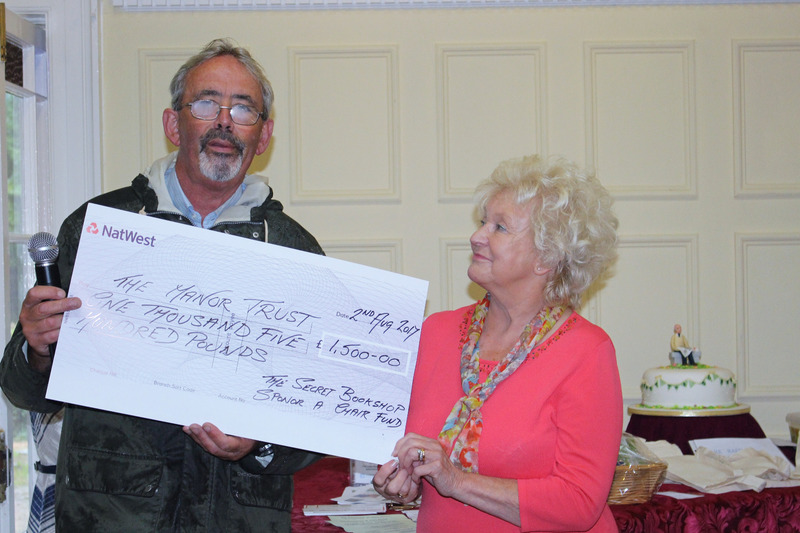 The Trust has a body of supporters called Friends of the Manor Trust. We ask supporters if they would like to remember The Manor Trust Bedhampton in their will and this can be done made as agift if desired for a specific named activity of the trust. If this is something that you would consider doing, please speak to your solicitor about this and if it’s helpful, please also speak to our Trust Manager, Paula Humby on 023 92 48 4444. The Trust hosts three major events during the year, the Art Exhibition in May, the Garden Party in August and the Coffee Morning in November. Help at the monthly Coffee Mornings or the Evening Talks is always welcome. If you would like to volunteer your help in some way, please let us know. If you are already a supporter of the Manor Trust or thinking you would like to support the Manor Trust you may like come and view the Waterloo Room, Tower and Library that houses the Secret Bookshop, please contact our Trust Office to arrange your visit. 2 Lower Road Old Bedhampton PO9 3LH. When giving, please say your gift is for the Elms and Waterloo Room Appeal. The Trustees have commissioned the repair of windows and patches of crumbling render with repainting during the summer of 2018. The Trust’s resources had to bear £25,000 which represents 90% of the total restoration costs of the Tower in 2015. Any contribution you can give will be very much appreciated- please see below. Starting in 2017, the Trustees are looking to continue with the necessary maintenance of the building both internally and externally. Internal works are required to do with updating its utilities and decor, and externally to the elevations and roofs. The trustees are appealing for donations towards the costs of the important restoration work on the building and Waterloo Room which together amount to £100,000. The Tower of the Waterloo Room is part their Grade II Star Listed Building called The Elms. It is an architectural heritage gem, probably the most important heritage building in the Borough of Havant. There is more about these works, including some pictures showing the work to be done, please click here . The Art Exhibition, held on the last week-end in May at The Elms has an interesting variety of pictures from local artists. All the paintings, drawings, sculptures and crafts are original and for sale at reasonable prices. A portion of each sale goes to benefit the work of The Manor Trust. There are also home-made cakes and cream teas available for a reasonable small sum. The Garden Party is held early in August. It is an afternoon event and is opened by a local dignitary. It is something of a fun day too. There is a small entrance fee, children are welcome and there is no charge for under 11s. 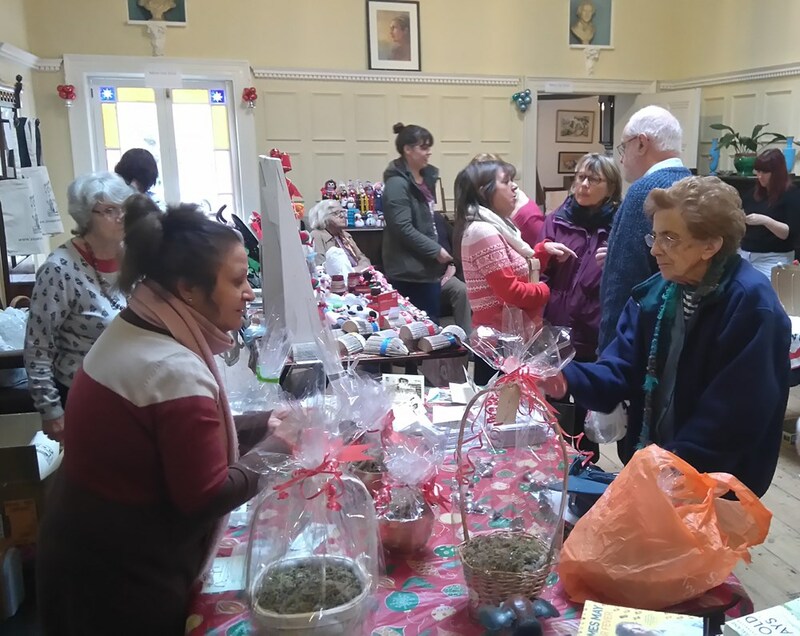 There are very many different types of stalls for visitors to browse and buy, and the home made cakes and produce are particularly popular. So too are the ‘fruit and veg,’ clothing and ice cream stalls. Through this support the charity was able to raise in the region of just under £1,000 as a very welcome contribution towards its work. This event is held on the last Wednesday in November. There is a small entrance fee which covers the coffee offered. There are stalls with a variety of small items on sale, many suitable to be of use in the coming Christmas-tide. The event is very popular and a worthwhile event for visitors to come and enjoy. The Secret Bookshop (SBS) is an important and vibrant entity that raises funds for the Manor Trust, usually with a specific target in mind, but primarily is the upkeep of its Grade II 'Star' Listed building, The Elms and its Waterloo Room. This is done by several means. 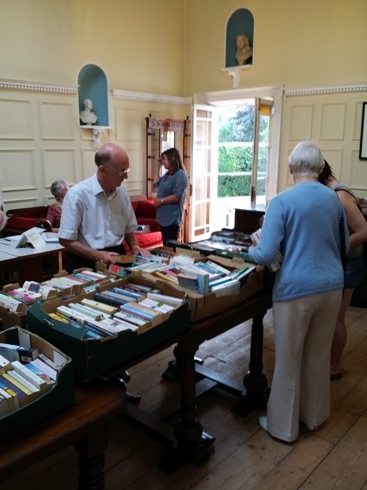 Firstly, is a collection of books held in the Library of The Elms and which are available for purchase at a very small, nominal price, for as little as £1, and if so inclined readers can donate the book back to the Secret Bookshop after reading. All are welcome – and encouraged to come and enjoy the experience in the charming and impressive historic Waterloo Room and The Secret Bookshop is open – in the Library next to the Waterloo Room, visitors are welcome to come and browse - and choose a book to take home and read for a very modest amount. Volunteers who fancy to help run a Books and Coffee morning are welcome to contact us or phone Nigel Gossop on 023 9237 5594. Other events are held such as the Christmas Craft Making Day when delegates come and are given know-how and tips on making decorations and other ‘things’ for Christmas. Voluntary donations to the Trust are very much appreciated by the Trustees, staff, residents and worker volunteers alike. Donations are used to help maintain the charity’s historic buildings whose upkeep presents a huge financial challenge. The money given may also be used to improve the services and facilities for the residents in the Trust’s homes, if that is specified. 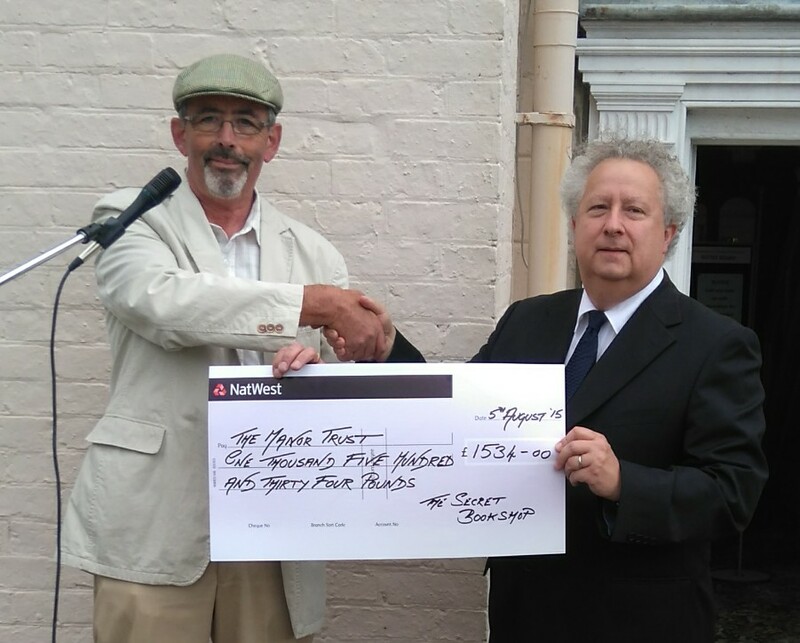 The financial contributions from the residents goes to their upkeep and the Trust needs additional income to maintain its historic buildings and promote its charitable activities. We ask you to consider making the charity The Manor Trust, Bedhampton a beneficiary in your will. You can choose to donate now, which will go the Trust via the Charity Aid Foundation website for giving. All you are asked to do is to give your name, contact phone number and email address and then state the amount you wish to give. You can also opt to add value to your gift, if you are an income tax payer, by completing the Gift Aid form on-line at the same time as making your gift. You can add to the value of your donation via Gift Aid, if you are an Income Tax Payer by down-loading the Gift Aid Form and sending it to the Trust Manager. You need only do only this once as the form will apply to future donations as long as you remain an income tax payer. We thank you most cordially and sincerely for your help with the Trust's work.